I’ve become one of those people who holidays in the same place each year. I didn’t think I was that sort of person, but it turns out I am. 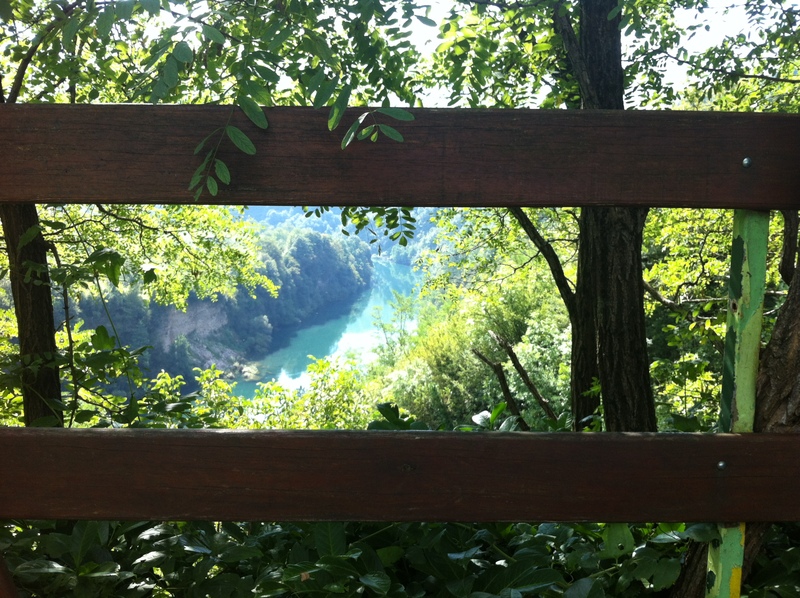 I love to explore the world and embrace new and challenging holiday destinations, but when it comes to summer holidays, my family and I love to return to Croatia each year to sun ourselves on the stoney beach of Prigradica, eat our body-weight in ćevapčići and enjoy the view from our apartment. While we missed out on another island lunch with Captain Tomislav on this trip, we did get to try some new food experiences. 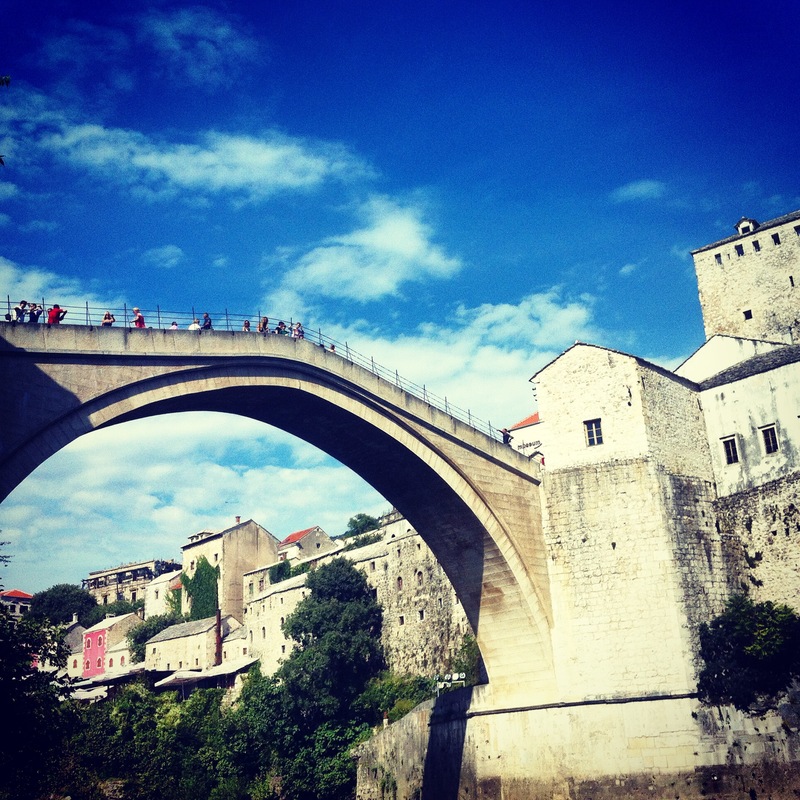 After a week of local eating, swimming and sunning, we planned a trip to Sarajevo via Mostar. It took a whole day of driving to get there and we stay two nights. We visited a friend of my dad’s in Mostar who took us to a little restaurant beside a trickling tributary to the Neretva River. The Neretva runs between two sides of Mostar and underneath the famous Stari Most that was destroyed in the war and recently rebuilt. 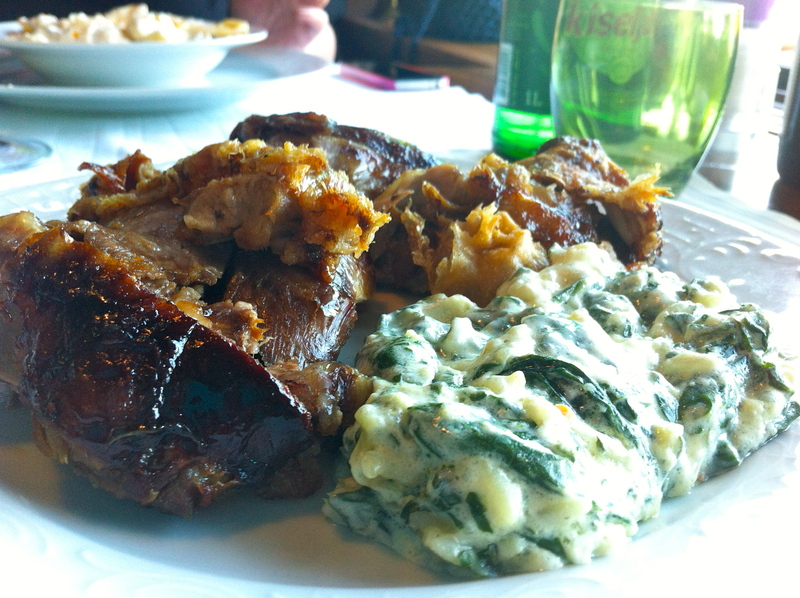 We ate a meat platter and a local salad speciality that contains lashings of grated feta. The meat in this part of the world always tastes so good and I don’t know why. After a day of passing through the Bosnia-Herzigovina border twice and quick tour of Mostar, we reached Sarajevo by dinner time and my parents, who came with us on the trip, promptly led us to their favourite ćevapi spot. Ćevapi are little sausage-shaped morsels of minced meat, sort of like a meatball, sort of like kofta, ćevapi are the Balkan equivalent and they contain lots of garlic. They can be made with lamb, pork, beef or a combination of both. We eat a lot of these things when we go to Croatia, some might say too many, but they cannot be found here in the UK and so we have a responsibility to make the most of our time in the part of the world where they appear on every menu. 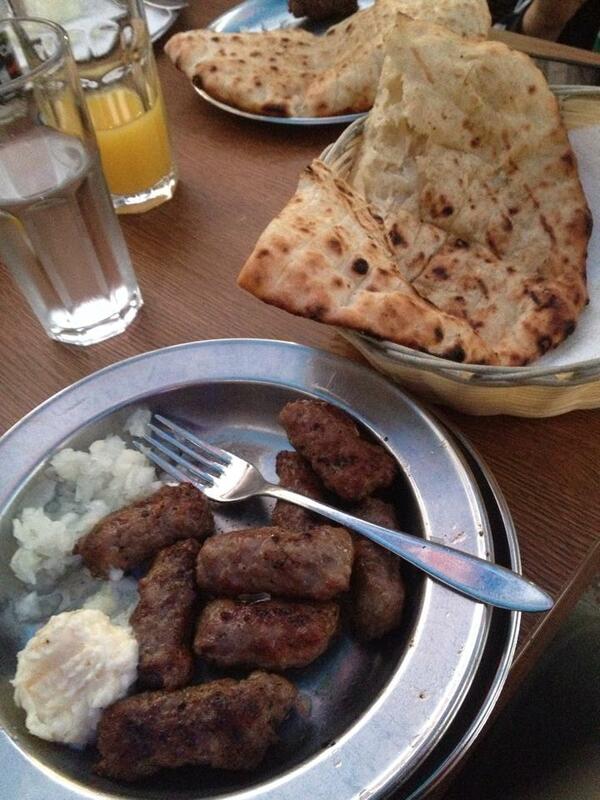 Like anything, there are good ćevapi and there are bad ćevapi. According to my mum, dad and pretty much everyone else on the Internet – the ćevapi at Cevabdzinica Zeljo (named after the local football team) is the best in Sarajevo. I can verify this claim, and I think this is not only because of the quality of the ćevapi, but how it’s served. 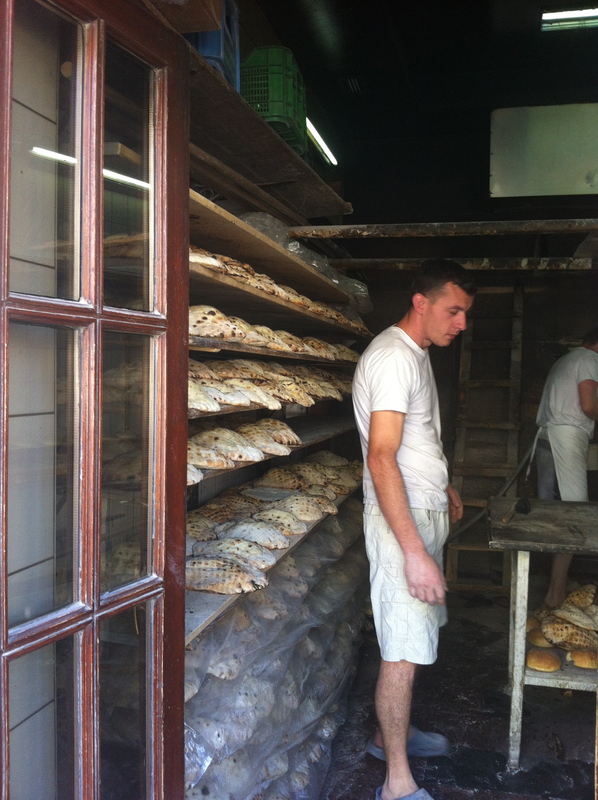 Whether you order 5 or 10, you get a serve of their soft bread that’s kind of half way between pita and naan bread, diced onion and my favourite, kajmak. Kajmak (pronounced Kay-mak) is something I’ve never had before, and it’s probably a very good thing that you can’t get it here. 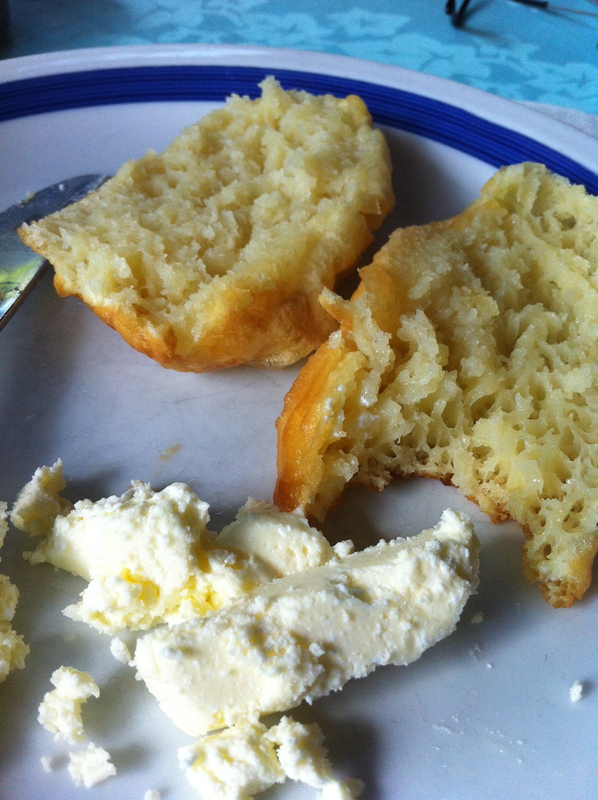 Containing 60% milk fat, Kajmak is sort of like clotted cream but tastes more like cream cheese or sour cream. It is rich and buttery and transforms the meal into something heavenly. 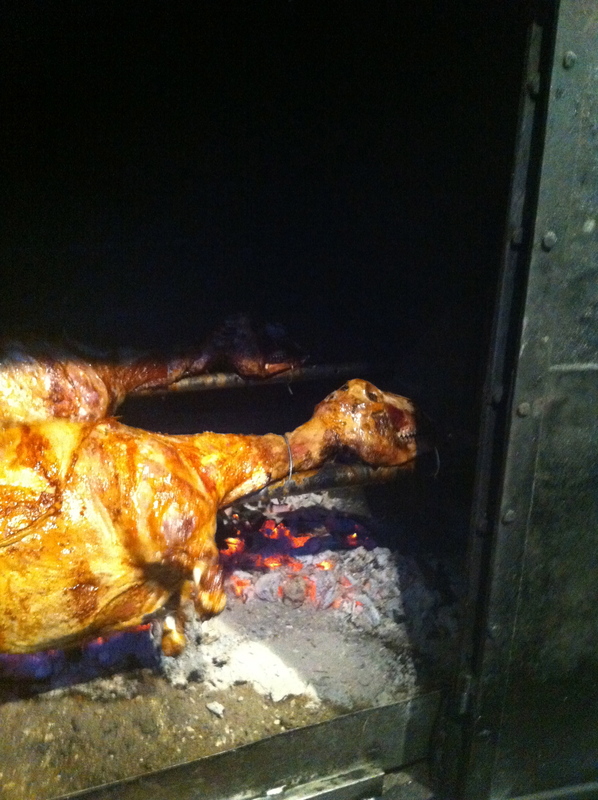 Below you can see a shot of it with some pogaća (fried bread). 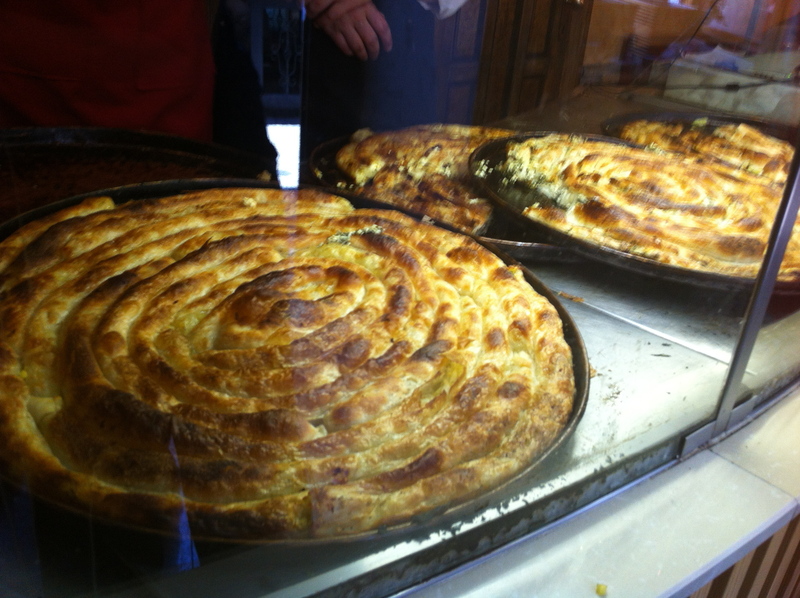 In our short stay in Sarajevo, we ate some very fine burek, tried Egyptian vanilla ice cream and enjoyed the local beer in between our meanderings through the market lanes and a timely visit to the site where Franz Ferdinand and his wife were assassinated, an act regarded as the catalyst for WW1. On the drive back to Korcula, we stopped at a delightful restaurant that was one of many that line the road out of Sarajevo. All of them look out onto the emerald river that runs parallel to the road, and all of them have water wheels that spin a lamb on a spit, and while we didn’t eat the lamb on our elevensies pit-stop, we did eat it the night before at another famous eating spot in Sarajevo, Restaurant Kibe Mahala. 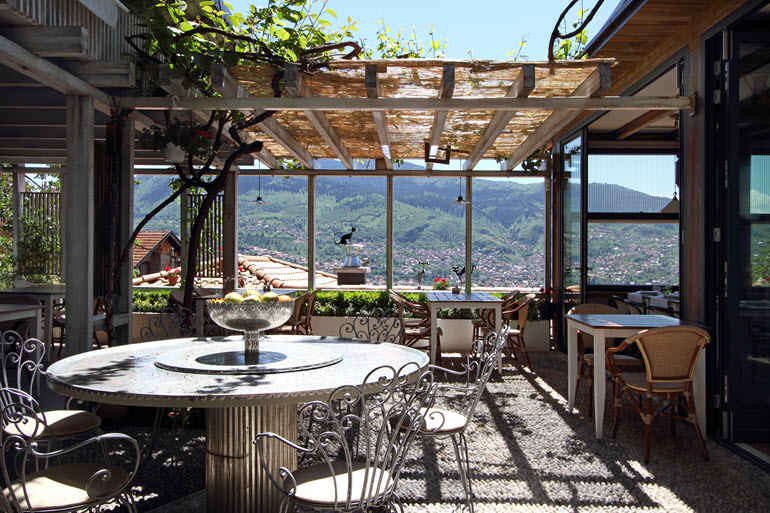 The family-run restaurant sits high up the valley and overlooks the old town of Sarajevo. It has been visited by Nick Nolte, Ralph Feinnes, Morgan Freeman, Mickey Rourke and many other luminaries whose faces I did not recognise, but it’s also a favourite with the locals. The building is new yet traditional, sophisticated and yet full of character. 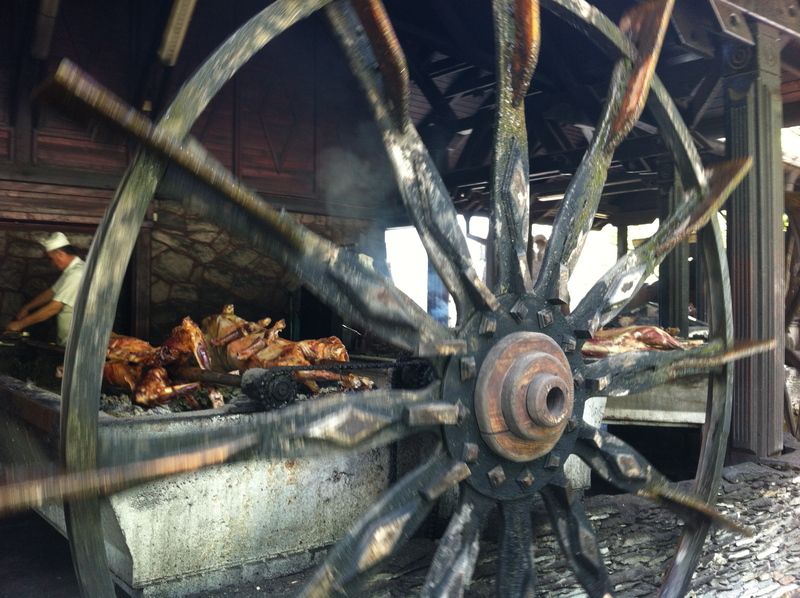 The menu is small, which is always a good sign, and their speciality is the lamb on the spit. AT and I chose the lamb with a side of creamed spinach, and my sister ordered the dish describe as ravioli but was more like meat-filled dumplings in a delicate soup served with a dollop of sour cream. 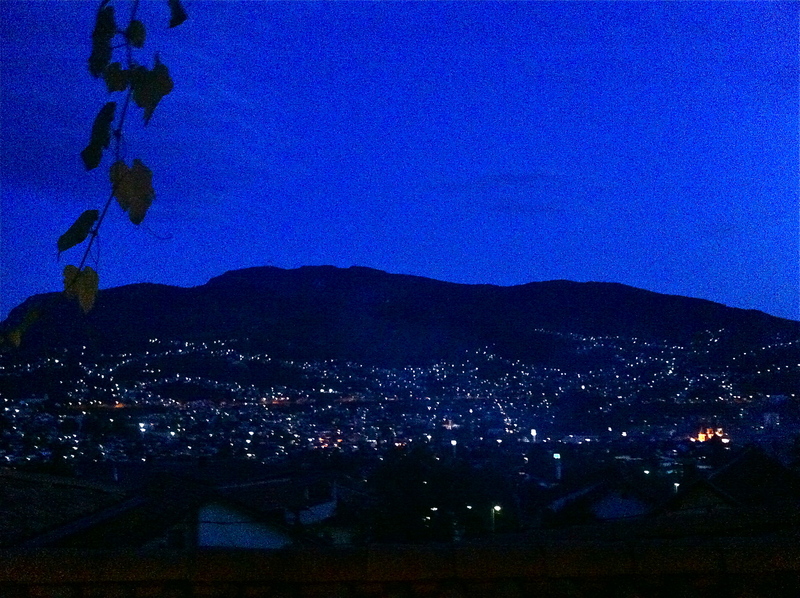 All of the dishes were excellent and the view from the terrace where we sat, looked out over the town as we watched it transform from rosy rooftops reflecting golden light into a darkness dotted with twinkling lights and plumes of smoke from the restaurants cooking up the ubiquitous ćevapi. A city that’s been fought over for centuries, that has famously tolerated many faiths, Sarajevo feels a lot like any other cosmopolitan European city but knowing it’s bloody, sad and violent history, I felt a sense of appreciation as I walked the streets. Appreciation for what the people have suffered, appreciation that the city has survived and that we can enjoy the abundance of food, culture and witness such a fine example of racial harmony. The crowded streets of the old town feel more like a Turkish bazaar than a Boznian capital and the unexpected richness and variety make it a special place to visit if you’re in the area – or even if you’re not. We drove for many, many hours over winding and unsealed roads, through borders and valleys to get to Sarajevo from Korcula, and it felt like we’d earned our visit. What started as a foodie pilgrimage, ended as an experience that opened my eyes to a place and a people unlike any other.